Cloud service is an on demand self service, wherein you can access data anywhere, anytime, from any device. The services and platforms are open, flexible and are cloud based. Moreover it supports various programming languages, tools and frameworks, in public, private and hybrid cloud platforms. We manage and facilitate all your SaaS, IaaS and PaaS needs for development, deployment, and management. Most known and first service, major service given as part of the cloud computing service, Cloud application services, or Software as a Service (SaaS), represent the largest cloud market and are still growing strong. SaaS uses the web to deliver applications that are managed by a third-party vendor and whose interface is accessed on the clients’ side. Most SaaS applications can be run directly from a web browser without any downloads or installations required, although some require plugins. Every business needs good software that is scalable, seamless and secure, and not to mention the amount of money SMBs pay in buying those web based products and software service. Our SaaS managed service offerings provide you with incredible inexpensive software solutions which can help meet your needs and gets your job done. We effectuate service solutions in Antivirus software, Project management, video conferencing, Recruitment and applicant tracking, HRM solutions, accounting, business planning, social media listening, email marketing, and VPNs. 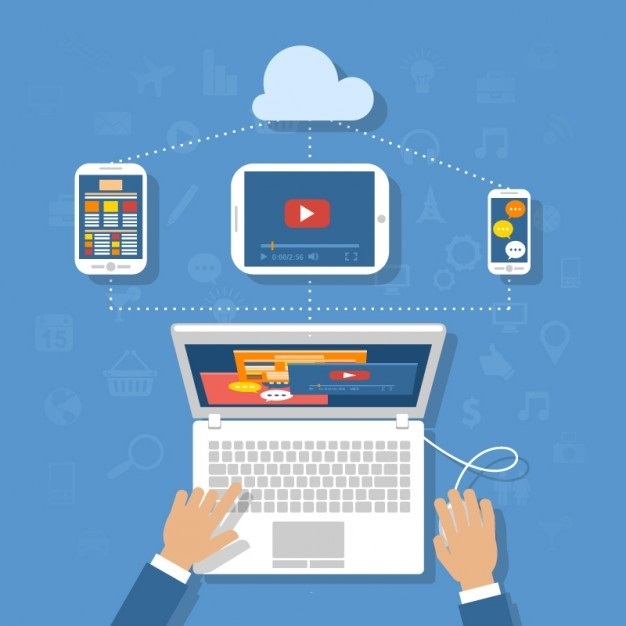 Cloud platform services or Platform as a service (PaaS) is a category of cloud computing services that provides a platform allowing customers to design, develop, run, deploy and manage applications without having the redundancy of building and maintaining the infrastructure typically associated with developing and launching an app. (Wikipedia)—an enabler of cloud applications. They are used for applications, and other development, while providing cloud components to software. What developers gain with PaaS is a framework they can build upon to develop or customize applications, PaaS makes the development, testing, and deployment of applications quick, simple, and cost-effective. It helps you with providing deployment details, capacity provisioning, load balancing, auto-scaling, app health monitoring, app migration and eventually cuts your costs by a significant margin. With this technology, enterprise operations, or a third-party provider, can manage virtualization, servers, storage, networking, and the PaaS software itself. Developers, however, manage the applications. It has traits of a Hosted application environment for developing and deploying cloud based applications. You really do not have to worry about the redundancy of carrying out physical servers. Our managed service offerings include providing your IT business with a comprehensive cloud ecosystem, virtualization, storage and computing platforms. It empowers you with specific tools to achieve your IT businesses security and efficiency goals, which can be utilized for data, software design, improved security, space, and mobility along with targeted testing. Service provider offers capacity for rent basically hosted data centers and servers, an evolution of website and server hosting services which provide servers and virtual private servers. If you’re a small to midsize business building an IT service infrastructure for your business can prove a bit of a daunting task. Business growth can be dwarfed by various factors such as, limited resources, capital, time constraints and expertise can literally slow down or hamper your current and future business plans. But thankfully with maturing and efficacy of technology and improved competition has created tools available in the market that are either inexpensive or are one step away from adoption. Whatever industry processes or departments you want to optimize be it, VoIP, Team work solutions, Video conferencing, Helpdesk services, antivirus software, recruitment software solutions, management, business planning, social media listening, VPN solutions, video calling software, accounting, CRM, email marketing, project management, or data backup we can help. Our array of our cloud services are inexpensive, but most importantly can meet your company’s needs, regardless of your company’s economic or technological limitations.